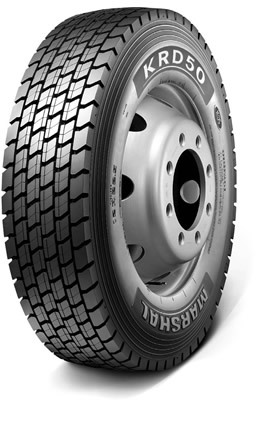 Light trucks can really benefit from Marshal KRD50 tyres no matter what the journey you have in mind is. They have extra support built in to accommodate heavier weights from the vehicle and any load that you might be carrying. Aimed at providing an efficient and smooth ride, you’ll see quieter levels of road noise and great grip and stability on every journey. High levels of wear resistance are also notable as you won’t have to change tyres often.